To increase the competitiveness of your organization, you need to increase the competency of your people. Talent Intelligence focuses on competency training and consulting services that improve the performance and productivity of individual and organisation by leveraging the latest technology such as incorporating big data and gamification. We bring together a pool of highly qualified and seasoned trainers with experience more than 2000 training days to guide and share information during the training. Our certified training assessor design assessment curriculum is based on the cored value from the proven framework of Australian Qualification Training Framework (AQTF). A Team Building program is designed to give participants a distinct advantage over other organizations that don’t believe in Team Power and Transformation. The program creates awareness for teamwork and has participant devoted to achieving self-empowerment as individuals and as a team to reach new heights and create new paradigms in working relationship. 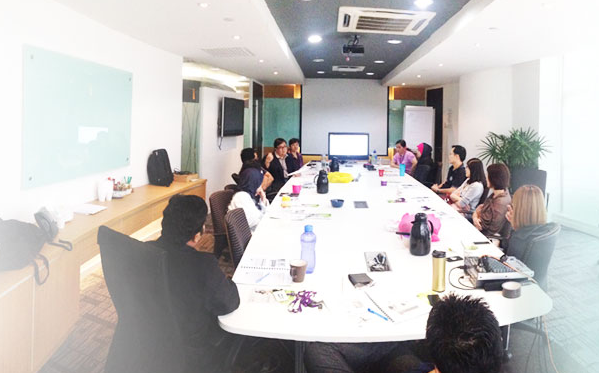 Our corporate training Malaysia program were encourage new ways of thinking. They open up ways to create extraordinary achievements. We believe individual behaviour and attitude contribute significantly to the overall excellence of your organization. So we focus on what really matters. Talent Intelligence develops Coaching and Mentoring Workshop. As well known coaching performance in Malaysia, Talent Intelligence applies an experiential approach to enable participants “learning by doing”. Talent Intelligence guarantee the participant that they will be able to apply the skills of Coaching in any coaching situation using powerful question, active listening, validation and scaling techniques. They also can effectively conduct coaching conversation and differentiate coaching from training, counselling and mentoring. No matter how good or important a message, if it’s not delivered in an interesting and effective way, chances is it won’t be heard at all. Strong presentation skills can advance career. From dynamic introductions to powerful closings, participants will have an opportunity during this seminar to practice and refine their platform skills. As we focusing on the skill-based training programs that are measurable as this will allow you to know the ROI for every training dollar you have spent. We also specialised in content and curriculum design and development. This enables us to collaborate with our principle like Google, Apple, Microsoft and much more.